In October 2014, the Yavapai County Bar Association (YCBA) elected Mr. English as Vice President for the their Board of Directors in 2015. Mr. English previously served as secretary of the board. Board positions are nonprofit, volunteer opportunities and Mr. English enjoys serving on the board to support and inform attorney and associate members, as well as the community. In December, Mr. English and other board members held a toy drive and donated many new items to the Toys for Tots program. 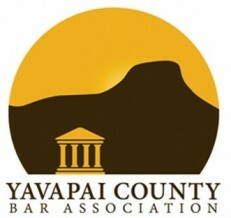 The YCBA board also organizes and provides continuing legal education for the attorneys in Yavapai County. In addition, they provide programs to help the public find qualified lawyers, resolve disputes and gain knowledge about their legal rights and responsibilities.